Huck Gee’s newest vinyl release, Penelope McStompsalot, combines two different Dunny scales into one awesome new release! 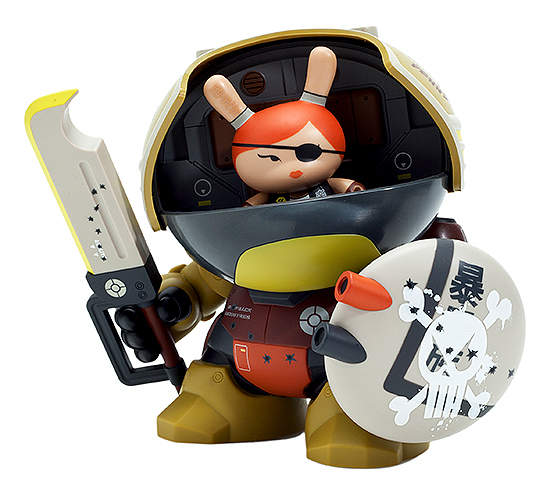 Penelope McStompsalot is a fusion of 3″ Dunny and 8″ Dunny, as Penelope comes with her giant Dunny power armor, complete with opening helmet cockpit, sword, and shield! TOMODACHI is proud to carry these cool new Dunny figures, coming soon to our Rosedale Shopping Center location as well as our online shop, in its retail green-brown color scheme. Priced at $199.99, this cool new release comes in an exclusive windowed box, and is sure to please any vinyl collector or Huck Gee fan!